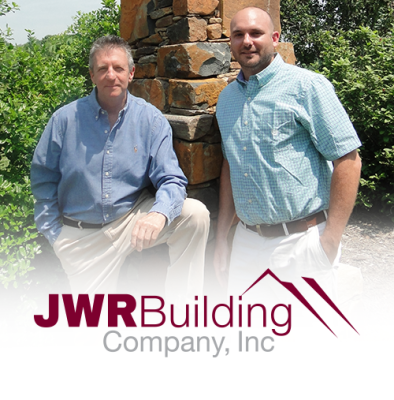 JWR Building Company, Inc. Our Team - JWR Building Company, Inc.
JWR Building Company was founded by James Robertson, Jr. a North Carolina native and has been in the building industry since he was a teenager. James’ background in the building industry is generational, having grown up in his fathers’ building supply business Robertson Lumber Company in Winston-Salem NC. He worked with his father throughout High School and early college knowing that someday he wanted to build homes. After attending college he went to work for a large home builder and developer where he started out framing houses. Due to this regional home builder doing many things “in house”, James was able to learn and develop a background in all facets of residential and commercial construction: from land and lot development, turnkey site-work, to all facets of the home building process. In 1977, James started his own company. In 1980 James Incorporated JWR Building Company and was licensed by the state of North Carolina the same year. In 1982, James teamed up with another organization to build apartments and do land development while still building single family homes. From 1984-1986, James developed two successful town home communities. In the late 1980’s he became the developer of two large subdivisions, a commercial subdivision while at the same time building residential homes. He later decided to refocus his attention to residential home building in Winston-Salem. James has been building homes in the Winston-Salem market for 40 years with price point homes ranging from $100,000-$900,000. James has an extensive background in all facets of residential and commercial construction. In 2011, James decided to form a new business with his son which would focus primarily on the Triangle market which they named Halycon Homes, LLC. JWR Building Company continues to focus on Winston-Salem, NC. With an accumulation of knowledge and experience James enjoys working in the field supervising each project from start to finish ensuring each home is built with unparalleled quality and craftsmanship. Austin Robertson has grown up in the construction industry. From the time he was twelve years of age, his father had him cleaning up job sites. Throughout High School and College he worked after school, holiday vacations and in the summertime delivering materials, cleaning up job sites, erosion control, waterproofing and landscaping the homes his father built. Austin has developed a great work ethic from when he was young which has allowed him to excel in whatever he takes on. In 1999, Austin was given the opportunity to become a manager of operations of a builder service oriented company. In 2001 after two years of growing the business for his employer, Austin decided to pursue his passion in the construction equipment industry as a salesman for a Bobcat equipment distributor. In 2006, he became Sales Manager of compact equipment at a John Deere construction equipment distributor that covered all of eastern North Carolina where he worked for almost six more years. In 2011, after being presented with an opportunity to form a new organization with his father he decided to leave his promising career in selling construction equipment and pursue the home building business in a new endeavor and follow in his father’s footsteps. He has always had an interest in building homes due to years of exposure to the home building and construction industry. His interest and passion peaked for the home building business after building his own home in 2005 with help from his father. Austin brings numerous attributes to JWR Building Company and JWR Building Company Homes that he has developed from selling and managing company’s product lines for over 12 years. Austin excels at managing and motivating people to work as a team, to coordinating, scheduling, budgeting, and marketing. Austin’s attention to detail ensures each home is built with quality, craftsmanship and stays on schedule to reach the ultimate goal in delivering a beautiful home. As a full-time designer she not only works for JWR Building Company, but owns her own design firm Cote Design Group. Jessica has a knack for visualizing the final product. She will ensure that your home will reflect what you are about. Her understanding of the building process and exceptional design skills will make the selection process seamless. We are lucky to have her on our team. We know you will enjoy working with her too.